The Canadian dollar is surging against its American counterpart to start the trading week, supported by rallying energy prices and the temporary pause in trade hostilities between the world’s two largest economies. The loonie, which has retreated nearly 5% this year, is looking to finish the year strong. Over the weekend, President Donald Trump and Chinese President Xi Jinping held talks in Argentina during the G20 summit to discuss the year-long trade tensions. For now, the meeting has been deemed a success, with Beijing and Washington agreeing to a 90-day trade truce. Reportedly, Washington will suspend a planned 15% hike to tariffs on $200 billion in Chinese goods on January 1, and Beijing will reduce and potentially remove levies on US automobiles. Markets did not expect much to come from the powwow, especially when it was confirmed trade adviser Peter Navarro would attend the Trump-Xi meeting. That said, investors are not confident that a trade agreement can be hashed out within 90 days. The loonie was further lifted by rallying energy prices, particularly in crude oil, which remains one of Canada’s biggest exports. January West Texas Intermediate (WTI) crude futures spiked $1.87, or 3.67%, to $52.79 per barrel on the New York Mercantile Exchange. The currency needed this after last week’s disappointing gross domestic product (GDP) figures. According to Statistics Canada, the national economy expanded at an annualized rate of 2% in the third quarter, down from 2.9% in the previous quarter. This was driven by weaker business investment and sluggish consumer spending. Analysts are now forecasting fourth-quarter growth to be around 1%. Investors now believe the Bank of Canada (BOC) will hold on raising interest rates this month. The market anticipates the next rate hike in January. 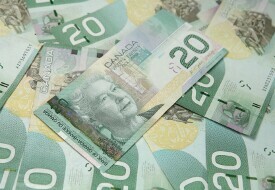 The USD/CAD currency pair plunged 0.75% to 1.3189, from an opening of 1.328, at 15:22 GMT on Monday. The EUR/CAD tumbled 0.49% to 1.4966, from an opening of 1.5040.